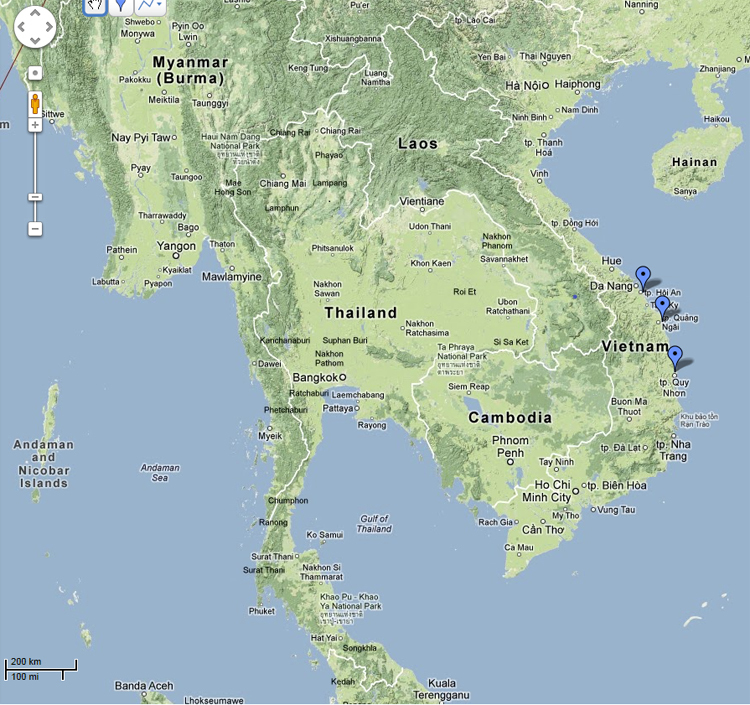 The location of the port of Dai Chiem/Hoi An, Co Luy port and ThiNai/Nuoc Man port (Map by Do Truong Giang). View larger version here. 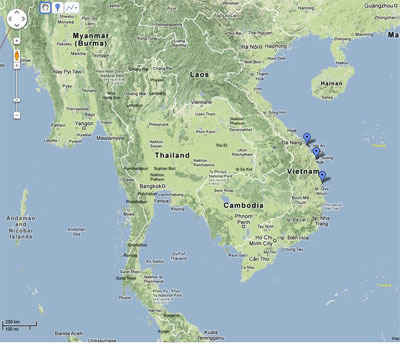 The Campa Ports project is currently being conducted by Do Truong Giang (aka Alex Giang), who is a Vietnamese PhD candidate at the National University of Singapore. This thesis proposes an alternative discourse of Campa history and aims at integrating the history of Campa into a larger context of regional and global history in particular the integration of Campa into international economic systems. Alex's PhD research investigates the role of mercantile ports in the history of the kingdom of Champa. Campa’s mercantile ports served as the first stop-over for ships sailing from China to Malacca, the Gulf of Thailand, or a closer destination being the lower Mekong delta area, which belonged to the kingdom of Funan during the first seven centuries CE. From an essential transportation hub, the coastal areas of Campa soon developed into a trade hub, where local produce and products would be exchanged with international ships that were passing by. That Campa came to be known as a transportation hub and later a trading and cultural hub was attributed not only to its geographical position but also to the fact that it was home to communities of people with their own state and a thriving culture in ancient times. 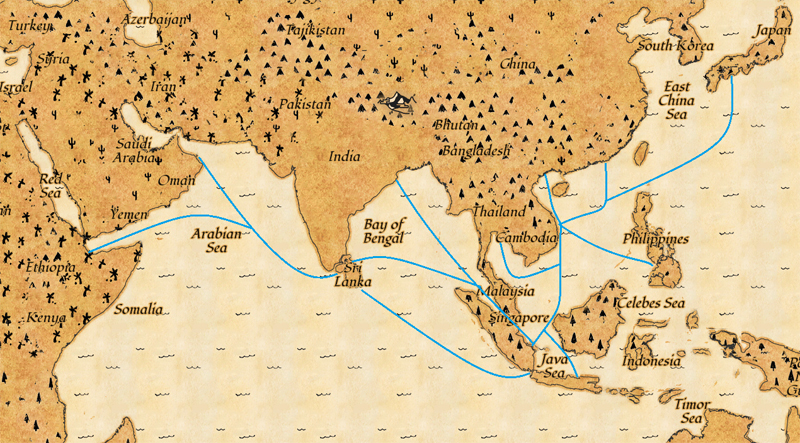 Because of its important position on the international East-West route, this region was a regular stop-over for ships of the East Asian maritime trading system. At this stage of the project, Alex Giang will pay most attention to the study of three major mercantile ports on the coast of the ancient mandala Campa, namely Dai Chiem/Hoi An port in present-day Quang Nam Province, Co Luy port in present-day Quang Ngai province and ThiNai/Nuoc Man port in present-day Binh Dinh Province (see the above map). 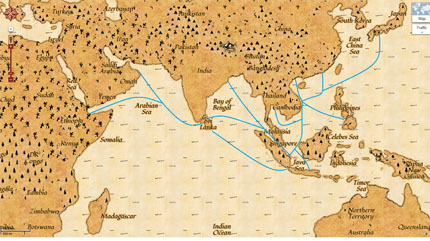 Map of the trading links from Campa ports to India, China and Southeast Asia (Map by Do Truong Giang). View larger version here.